Mr. Abdulrahman Mukhayer is a prominent UAE lawyer whose name in the Profession area has been consecrated since his graduation from the Law School at Emirates University in1998. In1998 Abdulrahman joined as a trainee in the reputable law firm of well known Dr. Jaree’h Al Freih in Abu Dhabi. During his trainee period Abdulrahman worked very close to Dr. Al Freih and was assisting him on major cases and matters he was handling. Abdulrahman gained a solid experience in litigation field and tackled cases on all legal sectors especially in civil, commercial, and criminal ones. In 2001, Abdulrahman founded Al Huqooq Advocacy Law Firm where he acted as senior litigator. Since then he performed his legal skills at Al Huqooq and became in short time an executive partner in the firm. Abdulrahman is distinguished also by his managerial skills where he is responsible in the firm for Clients cases follow up, reporting, monitoring and control of lawyers tasks and performance. Thus giving the firm it seriousness and prompt and appropriate deliverables to the Clients. Abdulrahman joined HLP as Founder Partner together with Fahmi Mukhayer and Badih Moukarzel had contributed to the establishment of the firm in Dubai and Abu Dhabi. Advisor and litigator in Rental properties issues in Abu Dhabi. Advisor and litigator on corporate matters. Litigator in major cases for Properties development and real estate issues in Dubai/Abu Dhabi. Litigator and advisor on civil and commercial legal matters. Claimant and Defendant in major criminal cases before Public Prosecution and Criminal Cassation Courts. Litigator and Advisor in alternative dispute resolution in UAE. Expert and advisor in Arbitration and Court disputes of jurisdiction. Participant in periodical conferences and seminars in UAE and GCC on Arbitration matters. Participant in the seminar on Oil and Gaz conflicts and dispute resolution in Dubai for the year 2006. Awarded for Quality Control and Management of Tasks and Resources. 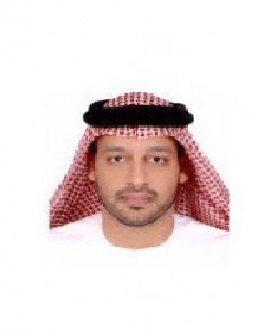 Abdulrahman is a registered attorney in the federal court of UAE and is enrolled at Abu Dhabi and Dubai Court as attorney at law in Cassation degree.